Humans are complicated creatures, and we get our wires crossed all the time. Usually, it is a completely innocent mistake on both parts. 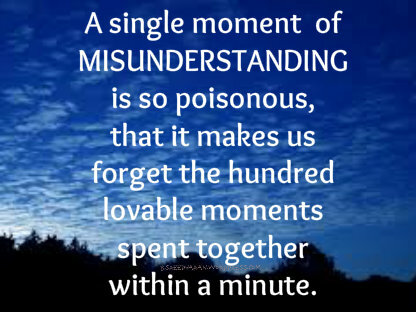 Little assumptions we make when we are rushing about lead to gaps in communication, which lead to misunderstandings.